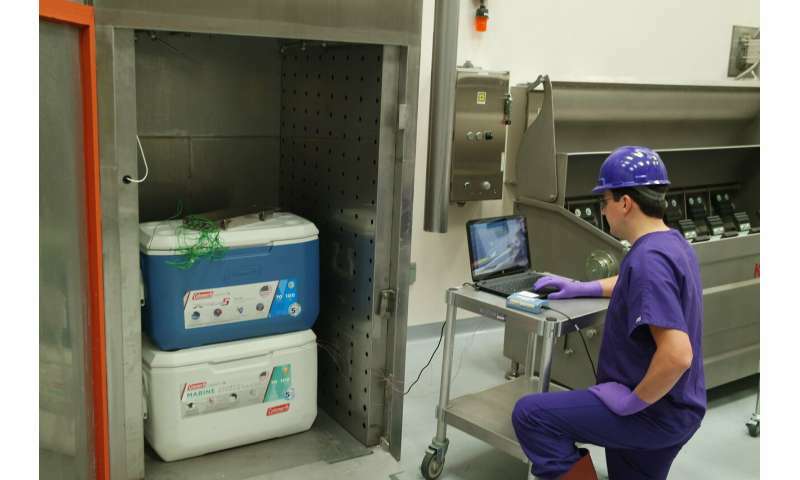 To conduct the experiment, Phebus and co-investigator Sara Gragg, assistant professor of animal sciences and industry, packed sack lunches in coolers with either no ice or one layer of ice on the bottom and exposed them to simulated temperatures on school buses using ovens in the Biosecurity Research Institute food processing suite at Kansas State University. They inoculated lunches with bacteria and tested for growth during particular time frames and from different areas of the cooler—and thus different distances from the ice. The simulated conditions and products types were selected based on a 2015 study conducted by the Center for Food Safety in Child Nutrition Programs and published in the Journal of Child Nutrition & Management.